Ideal for home or office use. 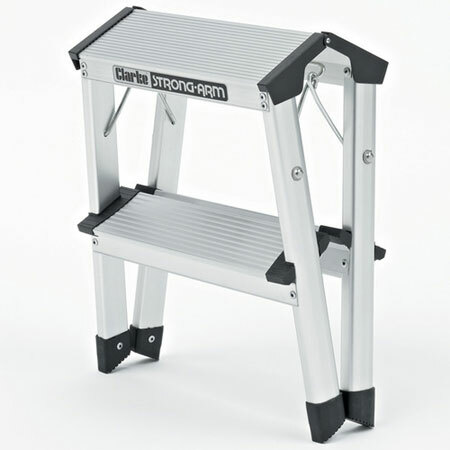 Practical, double-sided folding step ladder with wide anti-slip aluminium treads. 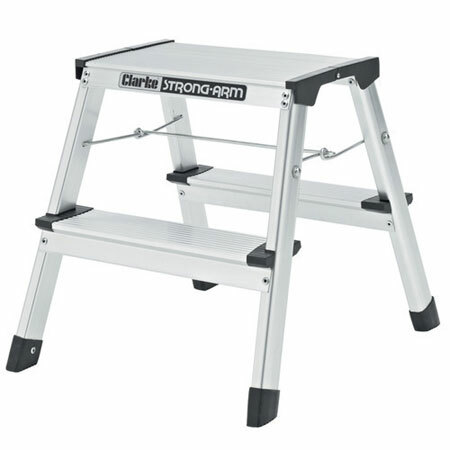 The non-slip rubber feet provide extra safety whilst climbing along with the securing braces.